Nike Zoom KD V "Aunt Pearl"
Following up on the KD IV “Aunt Pearl” is another example made in the honor of promoting the fight against breast cancer. 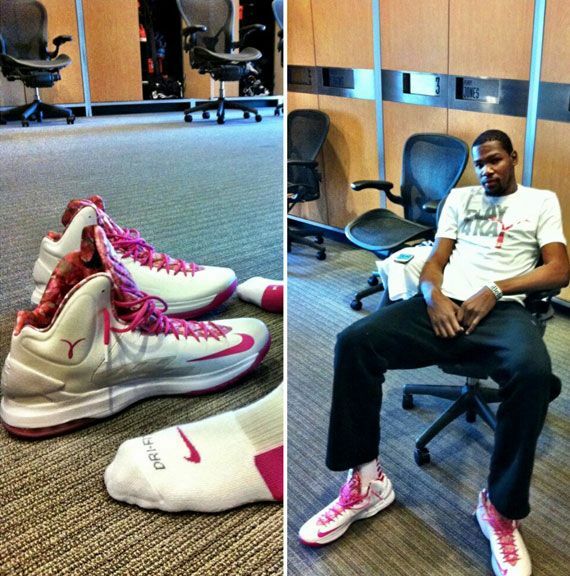 The Nike Zoom KD V “Aunt Pearl” goes with a pink on white version, a far cry from last years full on pink extravaganza. 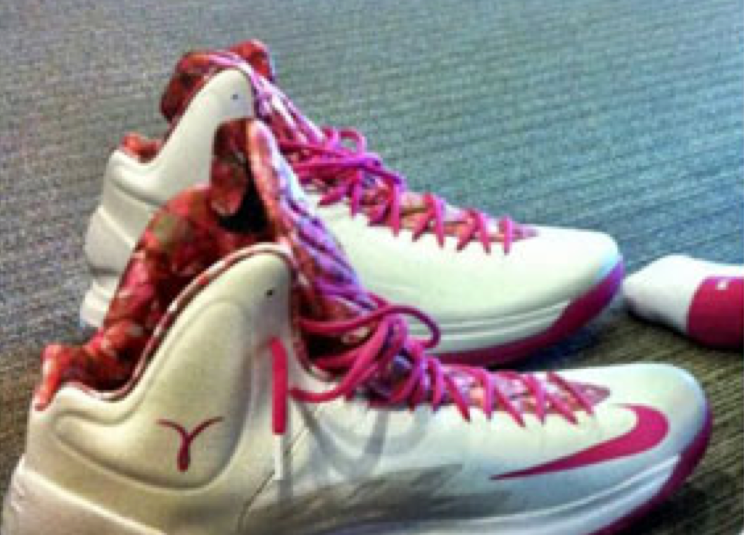 The shoe features a printed inner liner and also features the breast cancer ribbon on the medial heel. KD flashed a pic of them sporting them on his official Instagram page, so check out the photos and let us know what you think.